The Mississippi Watershed by Jon Platek This how trash can reach the ocean. This morning while walking around the lake by my house, I was sad to see plastic bottles bobbing around in the lake. 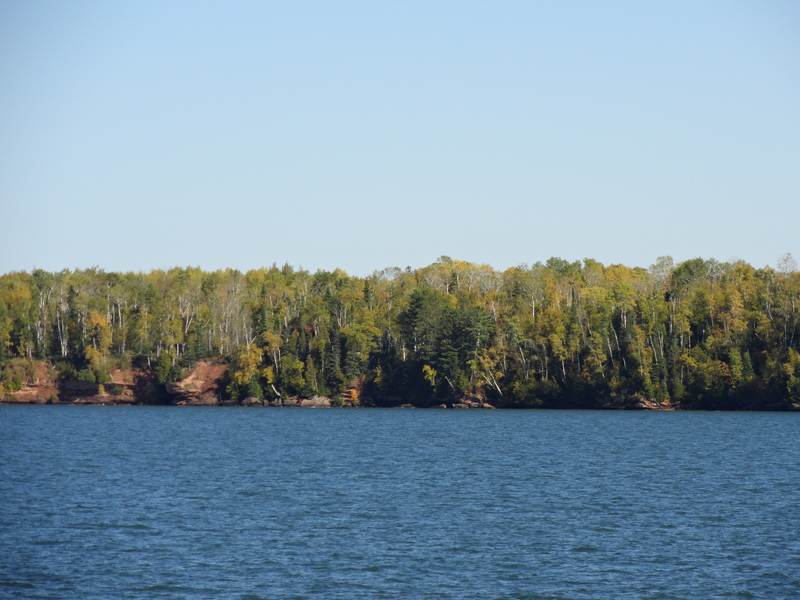 The amazing thing is that those plastic bottles from a lake in land-locked Minnesota could end up in the Gulf of Mexico. 80% of marine litter originates from land. The Minnehaha Creek drains this lake into the Mississippi River, which flows into the Gulf of Mexico. Plastic in a Minneapolis lake, could float the Mississippi River into the Gulf of Mexico, these plastic bottles and bags are a dangerous threat to marine life, and they are unpleasant to water recreation. “Plastic, of course, is uniquely problematic because it’s nonbiodegradable and therefore sticks around for a lot longer (like up to 1,000 years longer) than other forms of trash. And we’re not just talking about people dumping their garbage overboard. Around 80 percent of marine litter actually originates on land—either swept in from the coastline or carried to rivers from the streets during heavy rain via storm drains and sewer overflows. Ninety percent of the plastic items in our daily lives are used once and then chucked: grocery bags, plastic wrap, disposable cutlery, straws, coffee-cup lids. Take note of how often you rely on these products and replace them with reusable versions. It only takes a few times of bringing your own bags to the store, silverware to the office, or travel mug to Starbucks before it becomes habit. Each year, close to 20 billion plastic bottles are tossed in the trash. Carry a reusable bottle in your bag, and you’ll never be caught having to resort to a Poland Spring or Evian again. If you’re nervous about the quality of your local tap water, look for a model with a built-in filter. Those little plastic scrubbers found in so many beauty products—facial scrubs, toothpaste, body washes—might look harmless, but their tiny size allows them to slip through water-treatment plants. Unfortunately, they also look just like food to some marine animals. Opt for products with natural exfoliants, like oatmeal or salt, instead. Not only is it healthier, but making your own meals doesn’t involve takeout containers or doggy bags. For those times when you do order in or eat out, tell the establishment you don’t need any plastic cutlery or, for some serious extra credit, bring your own food-storage containers to restaurants for leftovers. New toys and electronic gadgets, especially, come with all kinds of plastic packaging—from those frustrating hard-to-crack shells to twisty ties. Search the shelves of thrift stores, neighborhood garage sales, or online postings for items that are just as good when previously used. You’ll save yourself a few bucks, too. It seems obvious, but we’re not doing a great job of it. 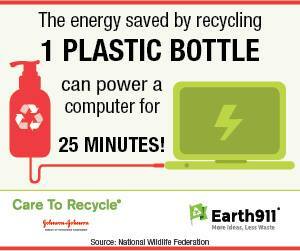 For example, less than 14 percent of plastic packaging is recycled. Confused about what can and can’t go in the bin? Check out the number on the bottom of the container. Most beverage and liquid cleaner bottles will be #1 (PET), which is commonly accepted by most curbside recycling companies. Containers marked #2 (HDPE; typically slightly heavier-duty bottles for milk, juice, and laundry detergent) and #5 (PP; plastic cutlery, yogurt and margarine tubs, ketchup bottles) are also recyclable in some areas. For the specifics on your area, check out Earth911.org’s recycling directory. 7. Support a bag tax or ban. Urge your elected officials to follow the lead of those in San Francisco, Chicago, and close to 150 other cities and counties by introducing or supporting legislation that would make plastic-bag use less desirable. 9. Bring your own garment bag to the dry cleaner. 10. Put pressure on manufacturers. I would add one thing to the list. Never use Styrofoam! Some stores package fruits and vegetables on Styrofoam trays! Awful. Finally, current status of the Mississippi River in the Twin Cities from Friends of the Mississippi. Styrofoam I pulled from Lake Harriet in Minneapolis. It is breaking into small pieces and could last forever! I am happy, it is Earth Day, and I am very happy that the city of Minneapolis took a bold stand on Styrofoam containers. Congratulations to Minneapolis for banning Styrofoam “To Go” containers. 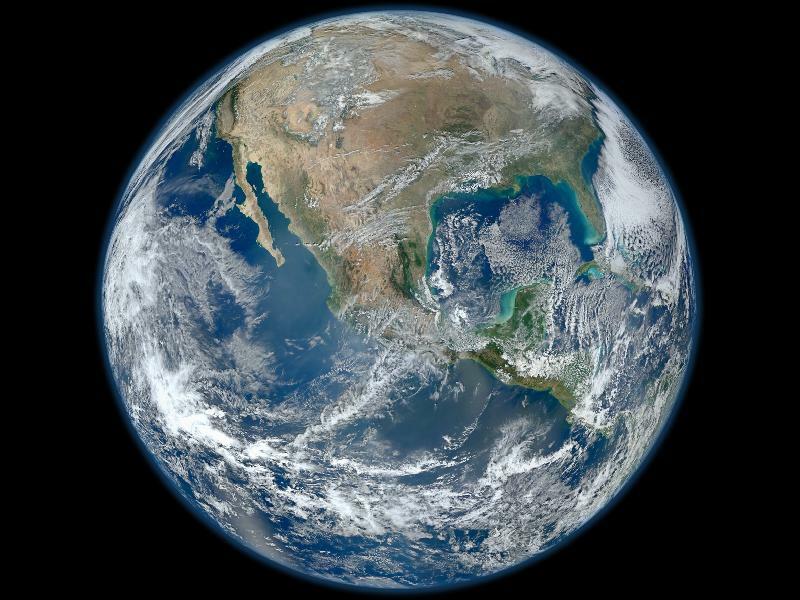 The ban begins on Earth Day, April 22, 2015. Minneapolis is a city of many lakes, many creeks, and the Mississippi River. Materials like plastic and Styrofoam break into tiny pieces and could exist for hundreds of years in these water bodies. #Blogging101 Prompt I just had to say something! 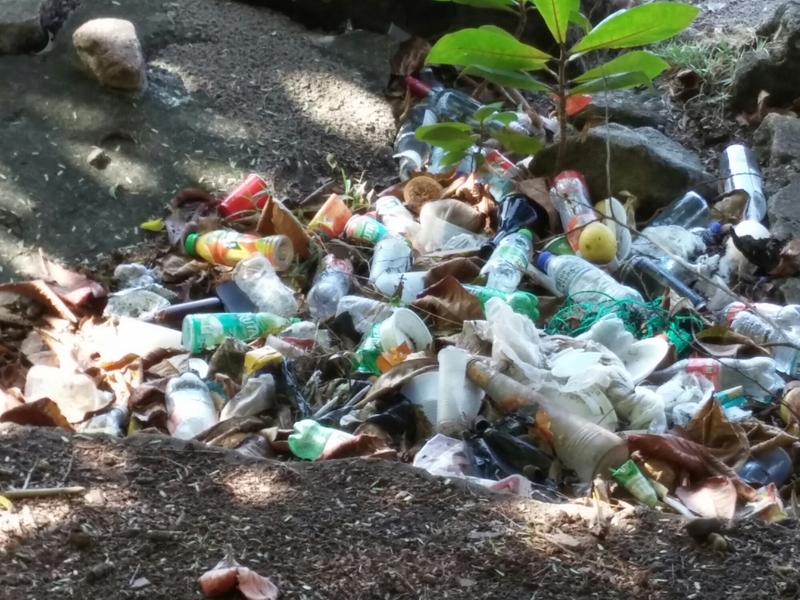 This past January when I was visiting one of the most beautiful places on earth, the Caribbean, I observed litter that upset me. Yes, I am obsessed with litter and clean water. Litter along waterways is unacceptable. The shock was that some local restaurants only served their food in Styrofoam boxes. 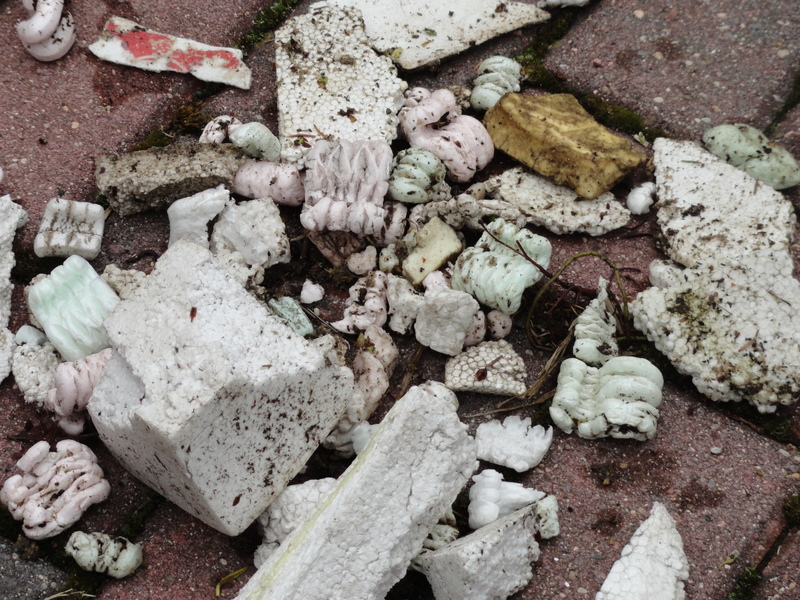 The Styrofoam boxes were littering the street gutters and shoreline. I wanted no part of this Styrofoam disaster, and searched for food on real plates. Often they had to wash plates just for us. Why does this upset me? Styrofoam breaks into tiny pieces and no one knows how long it will last in our oceans, maybe forever. Not good for sea life or ocean health. Styrofoam can be recycled, but it is very hard to find. Manufacturers of Styrofoam as well as Coca-Cola and plastic bottle industry should recycle the harmful products they produce, and we should all avoid Styrofoam and plastic bottles as much as possible. The Oceans Belong To Us All! Fifteen years ago when I was in the Dominican Republic and I was shocked by the piles of plastic waste standing on the streets. Since then I have been sorry to observe plastic waste in many other countries. It really bothers me when I see it in streams washing into the sea. In January 2015 my adventures took me to St. Kitts, Antigua, Dominica and St Luci in the Caribbean. The plastic bag waste seemed better, but the ubiquitous Styrofoam container use has become ridiculous . Instead of searching for good food it became, “Where can we eat on a real plate?” Most local food was served in Styrofoam boxes, even to sit down and eat inside a local restaurant. Styrofoam containers and plastic bottles fill the gutters and beaches. The Caribbean is without doubt one of the most beautiful places on our earth, but the waste and pollution they are sending into our oceans is unacceptable. An effort is made to pick up trash on tourist beaches and around cruise boat areas. I assume the tourist boards do know this behavior of trashing is not acceptable. Styrofoam breaks into tiny little pieces, it could survive for hundreds of years, and I can’t imagine the harm it does to sea life? How can the world community help them recycle, replace Styrofoam, and help protect our oceans? The World Bank? Rotary International? Coca-Cola? Plastic Bank? Ocean Conservancy? http://www.mprnews.org/story/2015/02/12/npr-plastic-sea This is a must listen to! Author health4earthPosted on February 9, 2015 February 13, 2015 Categories UncategorizedTags Antigua, Caribbean, Dominica, ocean trash, oceans, Plastic Bank, plastic waste, St Lucia, St. Kitts, StyrofoamLeave a comment on The Oceans Belong To Us All!